Most recently, the world blew up a virtual game Pokemon Go-and forced millions of people out of the house and explore your city in search of the cherished little animals. However, this is not entirely true – because users involved in the gameplay studied not only architecture and landscape around them but also a completely new space – the Digital earth. This latest resource has much more potential than just a game living space. 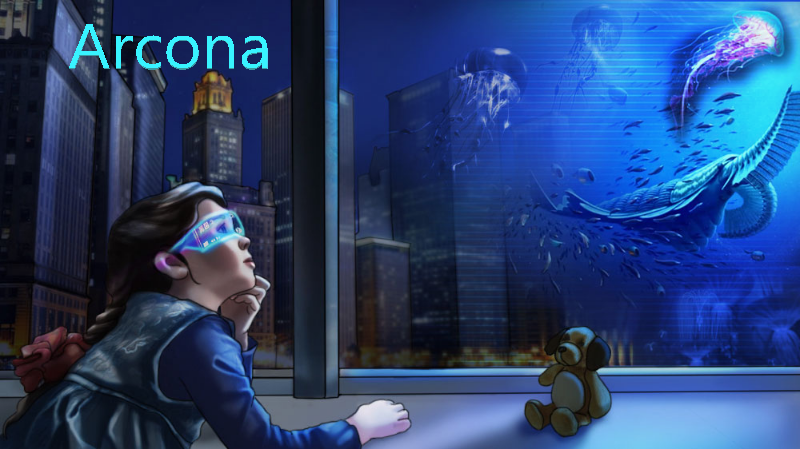 It is this potential that the Russian project Arcona reveals, from which we will discuss below. What is Digital earth? It is a unique product, integrating virtual reality into the living landscape of the Earth by defining geographic space data. This is a new layer of atmosphere, complementing the real world with 3dsimulation of the globe, geographic information services technology, blockchain architecture and artificial intelligence. To access this layer, the user will only need to install the ARViewer mobile application on his smartphone or tablet. 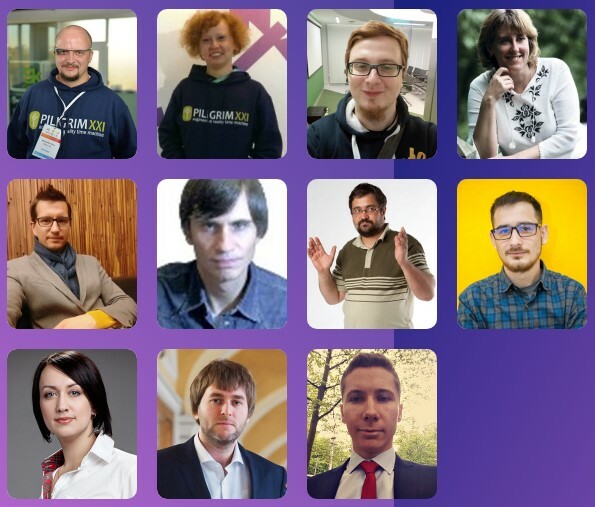 The developers of the project Arcona-the company PiligrimXXI-are not new to mixing the virtual and the real world: in 2014, this team was launched the world's first augmented reality Park, allowing hundreds of thousands of people to move into the world of the Middle Ages, walking around a small Latvian town. Then the number of such parks has increased to eight, and they operate in six countries. Now the Piligrim XXI team is developing a platform of digitized territories, which will include the 10 largest cities in the world (New York, London, Paris, etc.) with the possibility of remote control. Thus, by purchasing part of the digital earth, for example, in Tokyo, you will be able to simulate virtual routes, architecture from anywhere in the world! 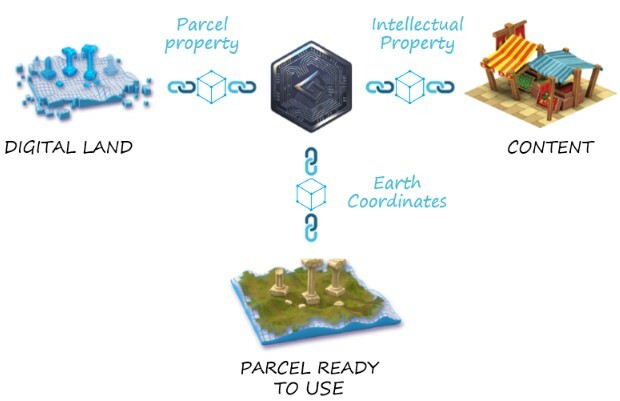 While someone is buying plots on the moon, the ways of monetization of which are rather vague, Arcona offers a much more liquid asset-the territory of Digital earth. 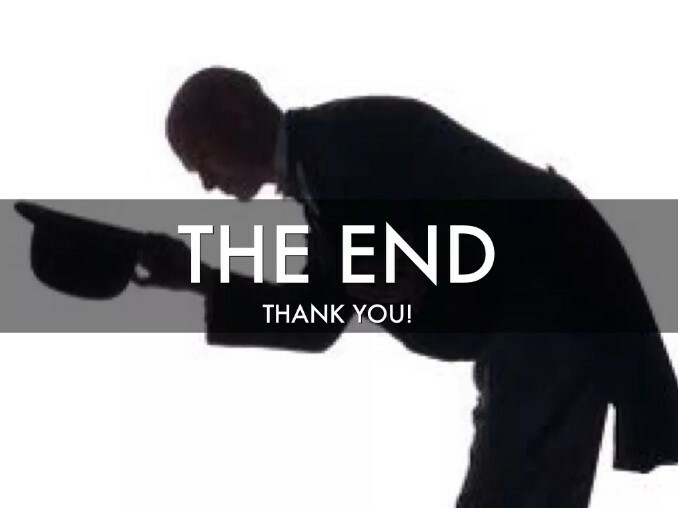 After all, in addition to the limitless potential for 3D-designers and other creators, the owner of the digital site has the opportunity to fully dispose of to generate income to it by analogy with living acres of land - to sell to other users, to rent, to open online stores, virtual parks with routes for tourists. 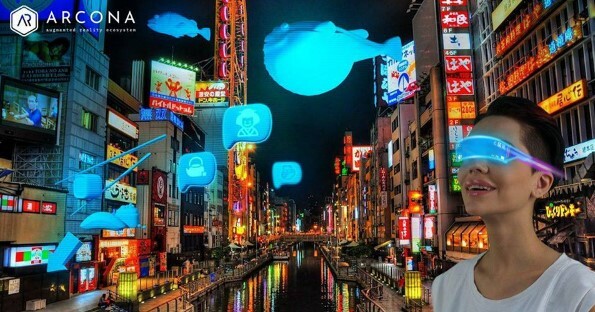 The goal of the Arcona project is to create a platform focused not so much on gaming activities, as opposed to other AR projects, as on real business, the real world. It is assumed that this platform will be able to create jobs and be used in a variety of areas: education, construction, advertising, tourism, etc. 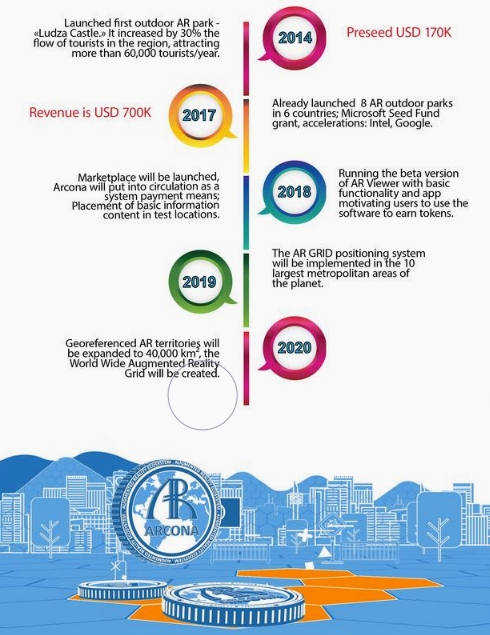 This is the development of a global augmented reality ecosystem that will unite creators, entrepreneurs, tenants, and users in a full-fledged infrastructure, which allows the introduction of the internal currency-the Arcona token on the basis of THE erc20 smart contract. The smart-contract will contain the GEODATA of the site, the register number, information about the owner and author of the work, ensuring the protection of the rights of both the owners of the site and the creators of virtual objects on it. 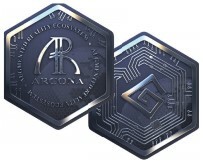 The Arcona token will become a universal currency for conducting transparent, secure transactions with any assets in the ecosystem. Now the company is launching their token-ICO Arcona. You can buy it by exchanging it for Ethereum. The amount of the issue will be determined later, but it is known that it will not exceed 135 million tokens. Token holders will not only receive a priority right to purchase the first plots of Digital land after the ICO, but also during the initial placement will have the opportunity to win a digital plot as a gift. All ICO participants automatically become participants of the land drawing. 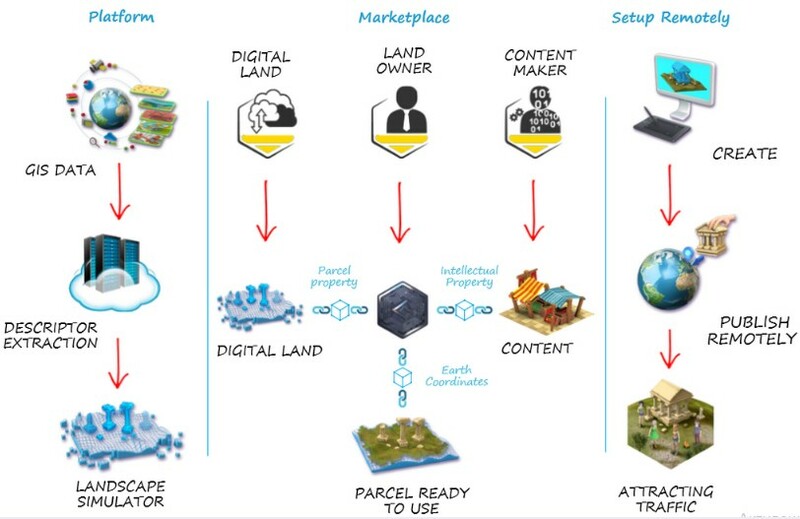 And since Digital land is a product limited only to 12% of the planet's land and this resource will quickly become scarce, it will be a nice bonus for those who want to buy digital land. The team will have 20%, not an unimportant factor will be that they will be frozen for a year, which in most cases will not give the fall of the token rate, after entering the exchange. The team consists exclusively of professionals. It's not just empty words, this is evidenced by the fact that in 2015-2016. the team was selected in the top 20 startups of Booking Booster Program by invitation to pass the acceleration programs of Google and Intel.